The drug is the dried tuber of Juncellus serotinus (Rottb.) 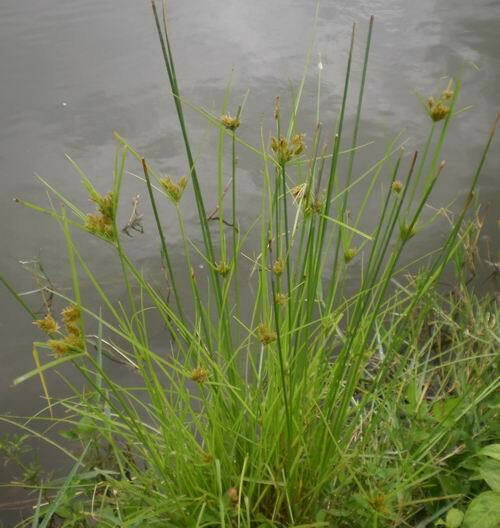 C. B. Clarke (Family Cyperaceae), growing in shallow water, on sandy lands along water or in damp lands along roadsides, and distributed in Heilongjiang, Jilin, Liaoning, North of China, East of China and Shaanxi, Shanxi, Gansu, Xinjiang, Henan, Hubei, Guangdong, Guizhou and Yunnan of China. Relieve cough, break blood, regulate menstruation, remove food retention, promote the flow of qi, alleviate pain. Tuber is used as antitussic, analgesic, to remove blood stasis, restore menstruation and remove indigestion, for the treatment of abdominal mass, postpartum blood stasis, indigestion, chronic bronchitis, amenorrhea, pain in chest and abdomen etc.